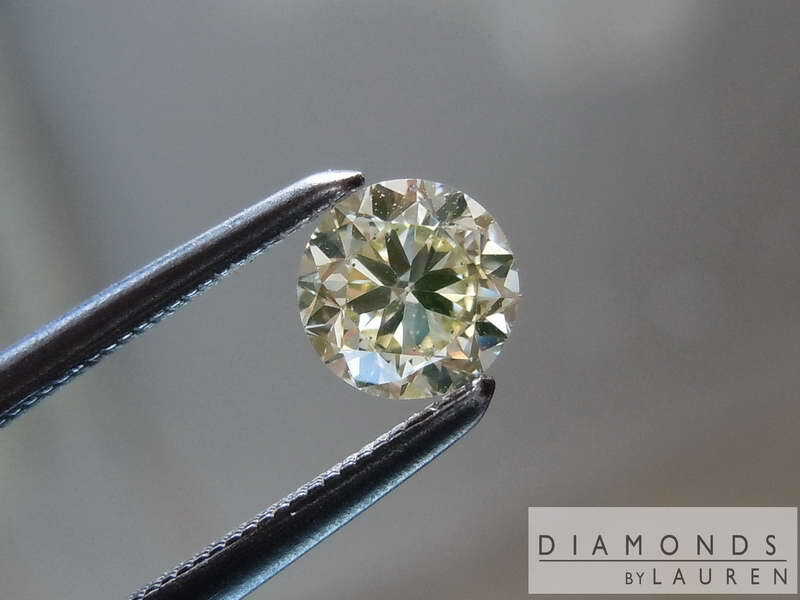 We recently purchased a 14.72ct parcel of diamonds. There were 28 stones in the parcel, ranging from .40 to .80cts. Assorted shapes. Some of them are almost white. 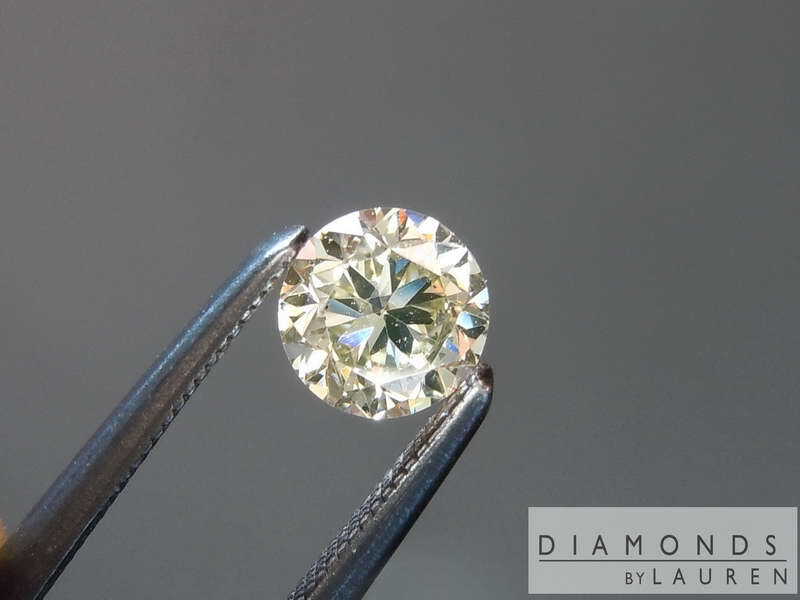 This one caught my eye immediately – because it was the only round diamond of the grouping. The parcel is relatively clean – and the stone looked pretty clean to me at first glance as well. Upon closer inspection, I did see the slight imperfections but they're truly not a bother to the overall look of the stone. The Color is bright - the flashes almost make it look colorless at times. You can also see that the cut is kind of funky – it's not cut like you'd cut a colorless, but it works nicely. 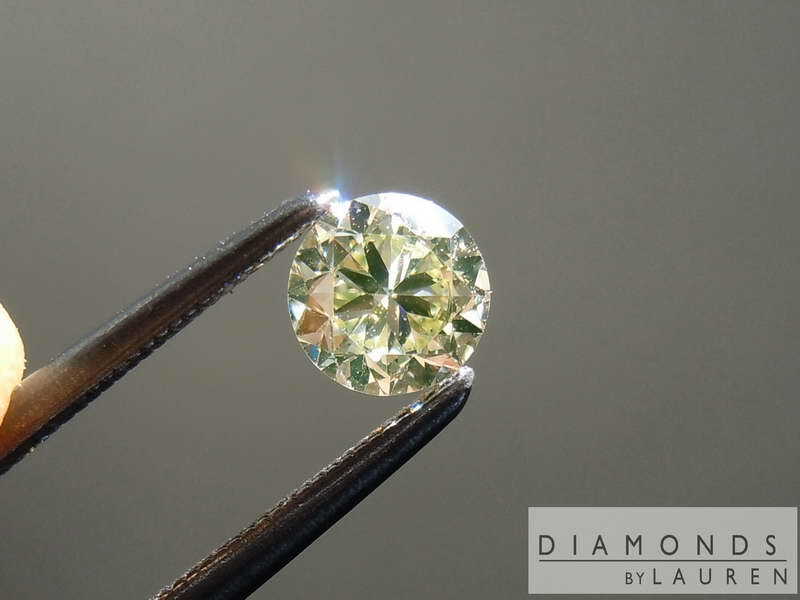 We are offering the diamond as is. The grades here are an approximate guess. 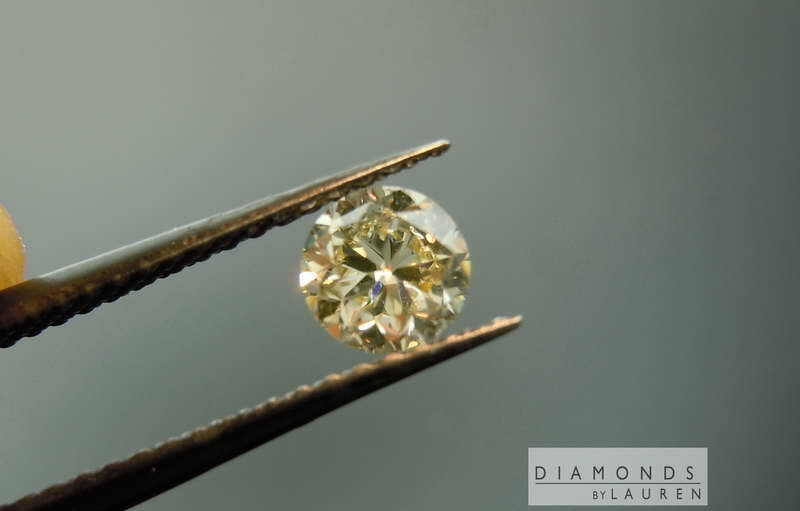 If you buy the diamond, you can either have us set it into a piece of jewelry, or send it to you as is. It's a beautiful stone, and you can enjoy it for being a diamond. 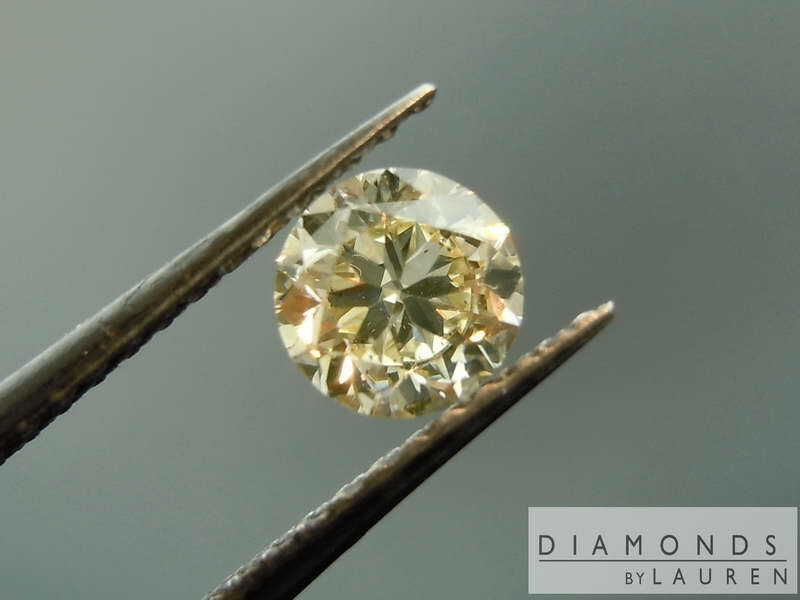 If you'd like to have A GIA report drawn up for the diamond, we can arrange that. 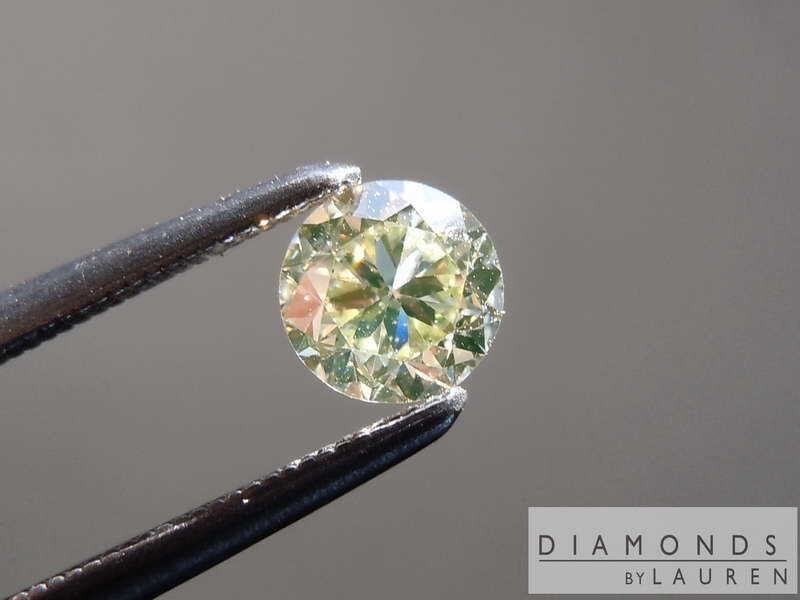 The cost of a fancy colored diamond grading report is $159 in addition to the list price of this Diamond. If you choose to go this route, and you do not like the grading result from GIA, you can get a refund, including the cost of the GIA report.